Everyone needs a since a fashion these days, no matter what field that they are in. Now that I am going to be a Secondary English Teacher, sometimes I need a guide in the mornings on what to wear. Looking professional in this field is always number one key; everyone is looking at your image. I am in the mind frame of creating a mini lookbook for personal usage, so that I would have a guide everyday. 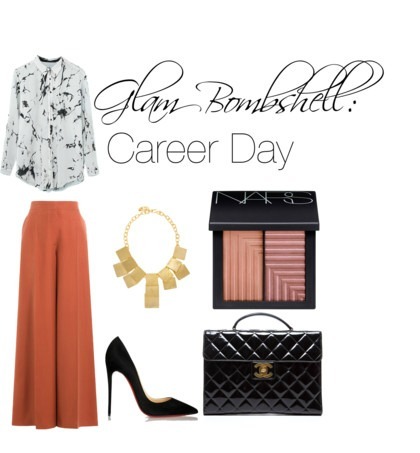 Until then, I have created a look for a career day/ootd work wear.